I have always been a mac and cheese fanatic. 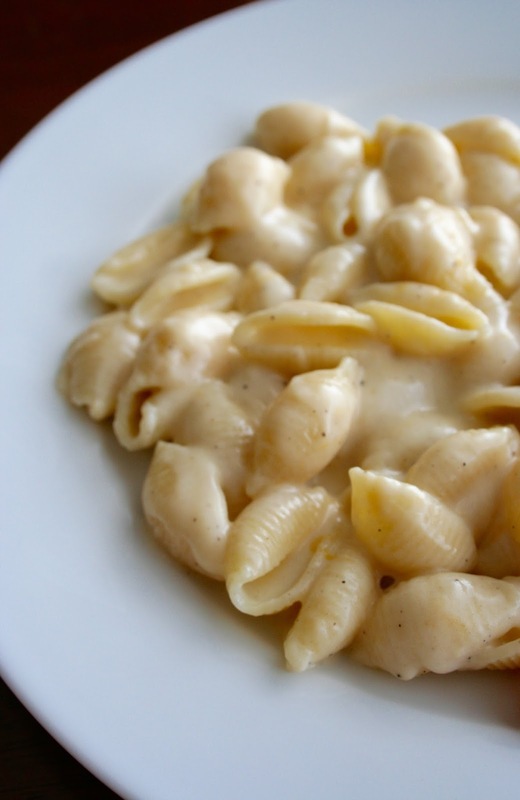 From Kraft to Olive Garden, I feel like I've tried every mac and cheese under the sun. 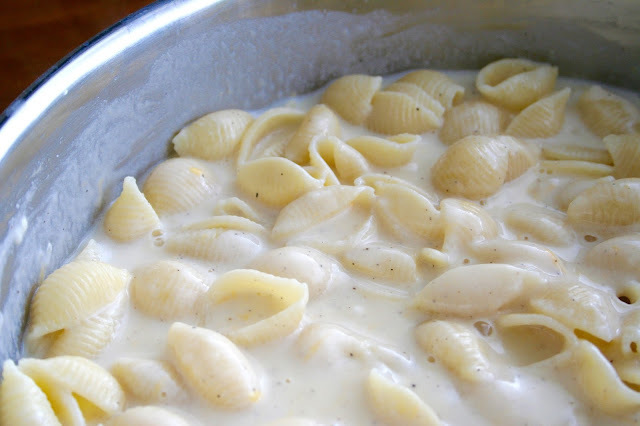 While this isn't technically "mac" and cheese, it still has that comfort food feel and pasta shells are just as fun to eat if not more. 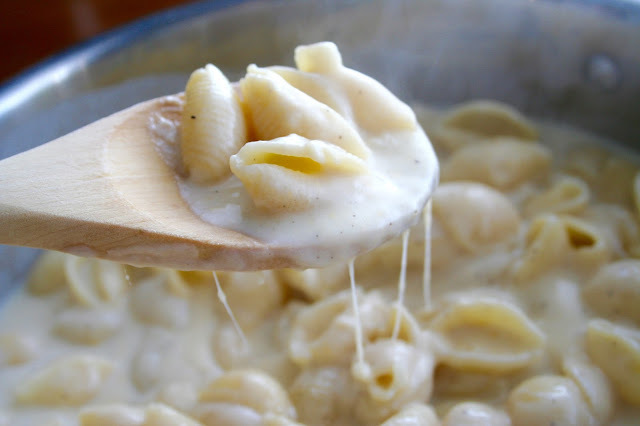 The sauce is creamy, cheesy and mouthwatering. 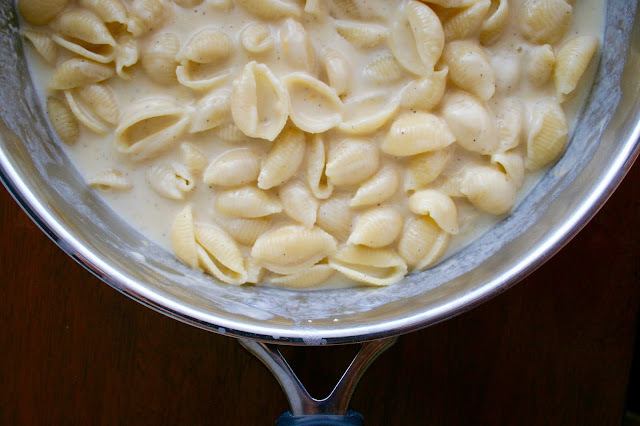 It's perfect for toddlers, kids and adults and you'll definitely want to add it to your dinner rotation after you realize how easy it is to whip up. 1. Cook pasta according to package directions, drain, and set pasta. 2. To a large skillet, add the butter and heat over medium heat to melt. 3. Add the flour and whisk constantly until the mixture turns light brown and has bubbled for about 2 minutes. 4. Slowly add the milk, whisking constantly, making sure to smooth out any possible clumps that have formed. 5. Add the salt, pepper, garlic powder and whisk to incorporate. 6. Add the cheddar, parmesan and whisk until melted and smooth. 7. Add the pasta and stir to evenly coat. Serve immediately.